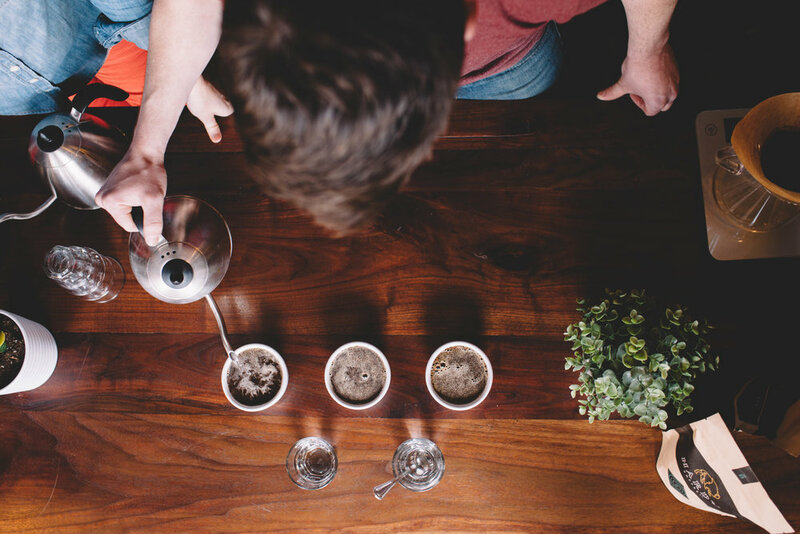 Hardy Coffee Co. is a specialty coffee roaster & bakery in Omaha, NE. We roast. We bake. We serve. Hardy Coffee Co. has three brick and mortar locations, but we are more than a coffee shop—we are also a small batch coffee roaster and bakery. Enjoy our full line of products, all created with you in mind. We began roasting for our own shops in 2015, but have since collaborated with wholesale accounts across the region to offer excellent coffee and the support to serve it well. Grab beans for home or partner with us to improve the coffee at your own shop, restaurant, business, or nonprofit. We would love to supply the baked goods for whatever event that you’re planning. The bakery is where this whole company began in 2010, and we take extraordinary care to put our experience to work for you. P.S. We offer gluten-friendly and vegan items. While we don’t have a mail-order barista program (yet), you can purchase the same coffee online that we roast in-house to recreate that coffeehouse experience at home. Other merchandise and gift cards are also available.